Lipozene is a weight loss pill for men that is available over the counter. 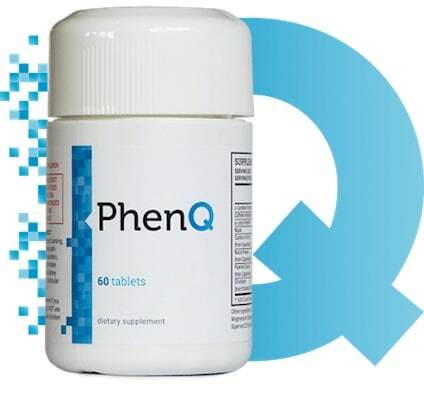 Its manufacturers claim that these pills are a natural way to lose weight and cut body fat. 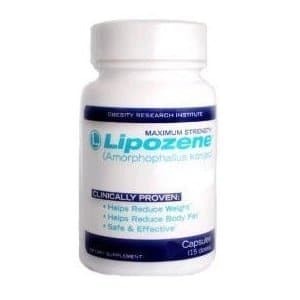 Lipozene is made with Amorphophallus konjac extract, which is made from the roots of the Japanese Konjac plant. This extract is also referred to as glucomannan in English-language advertisements and scientific studies. These roots are incredibly high in fiber and have been used in Japanese cuisine for quite some time. Today, they are processed into a noodle-like shape and consumed by many in the West as a “diet” food. Lipozene is not marketed under any other name, though off-brand glucomannan extract capsules can be found for sale in health food stores and other retail shops. The producers of Lipozene claim that the supplement works by creating a gel-like solution of fiber in the user’s stomach, which helps them feel full and prevents them from consuming excess calories. The absorption rate of the glucomannan extract means that it takes up far more room than just water. Two capsules of Lipozene should be taken with eight ounces of water half an hour before meals. Users should not exceed six capsules in one day. Lipozene was developed and marketed by the Obesity Research Institute LLC, a company which specializes in manufacturing over the counter weight loss supplements. The Federal Trade Commission (FTC) determined that the Institute greatly exaggerated its claims regarding Lipozene and other supplements and minimized the possible risks of the supplement. The Institute agreed to pay $1.5 million in consumer damages. Because Lipozene is largely made of insoluble fiber, it can cause stomach pain in some people. Some users may report feeling bloated, or they may experience flatulence and diarrhea. Lipozene can also cause dangerous changes in blood pressure. Some users may discover that they are allergic to the konjac root found in Lipozene. An allergic reaction to the supplement is characterized by swelling of the throat and the face, itching, and skin rashes. Diabetics should be discouraged from using Lipozene, as it may interact with drugs that they use to manage their blood glucose levels. More serious side effects include chest pain, vomiting, and difficulty breathing. This is because one of the biggest adverse effects of Lipozene is that of choking. The supplement is essentially a capsule of konjac root, which can swell and create an obstruction in the throat, esophagus or even the intestines if the user does not drink enough water along with taking the capsules. This dangerous blockage could be deadly if left untreated. Pregnant or breastfeeding women should not take Lipozene. While Lipozene may not seem as dangerous as other weight-loss supplements that rely on large amounts of caffeine, it can still pose a risk to the health of the user. Glucomannan is still not approved by the FDA as a means of treating obesity, and the possibility of choking or obstruction makes Lipozene a bad choice for those looking to lose weight.